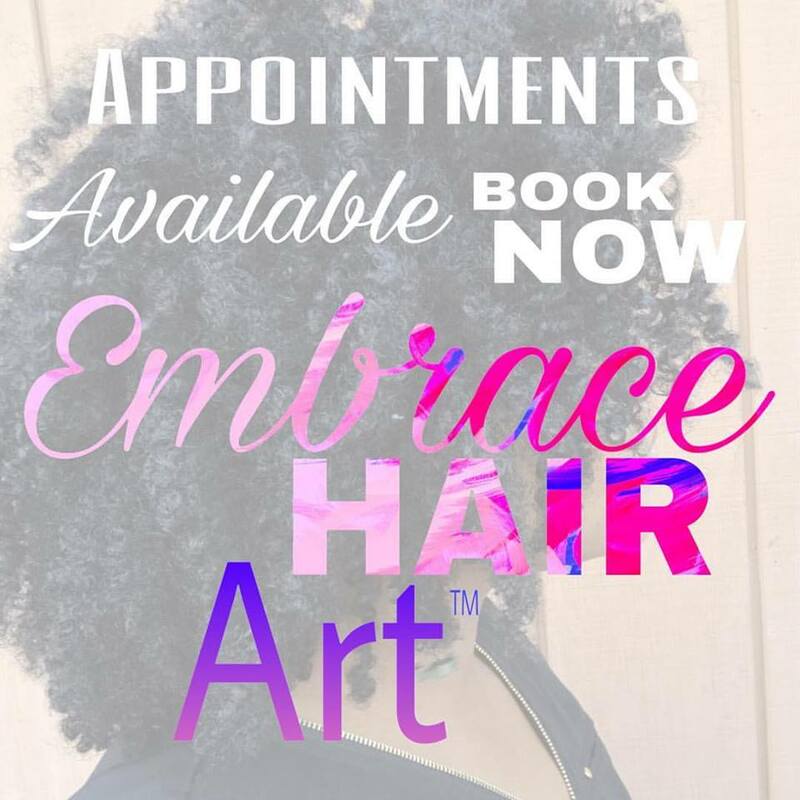 Seems this is a day and age of natural hair where manipulated tresses rule the scene: edge control, twist outs, perm or flexi rod sets, crochet braids, etc! I’m not knocking any of these styles but what exactly is wrong with a true wash and go? 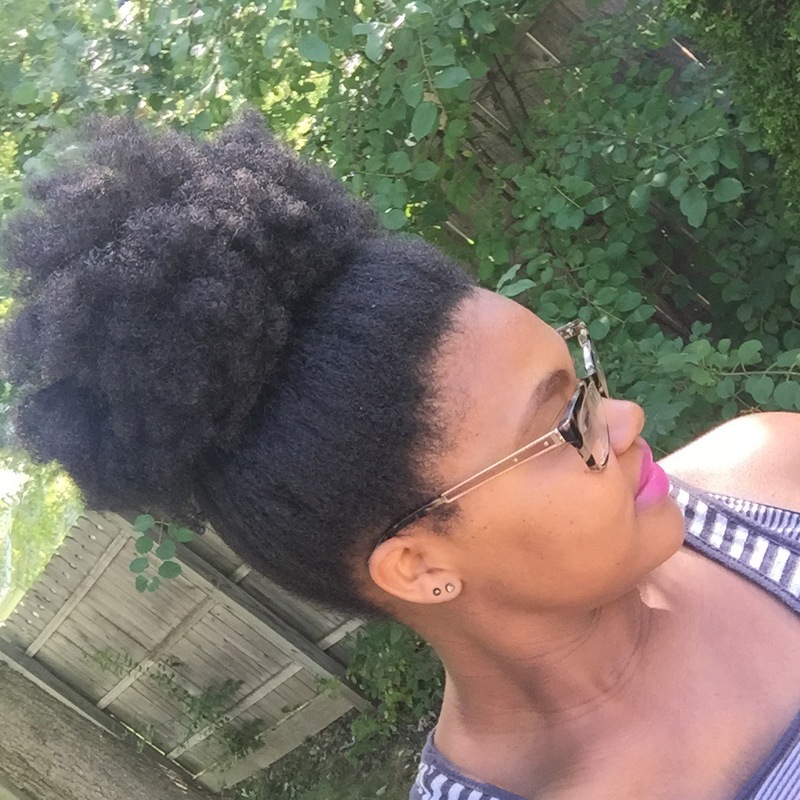 A “true wash and go” is literally the beginning of an Afro puff! A regular wash and go which is so called because we see them more often than not is s bit more manipulated. You need a whole lotta gel and leave in conditioner! There is also the major manipulating with shingling, clumping, smoothing, combing, scrunching the crunch, etc! Again nothing wrong with a regular wash and go but why do we naturalistas (I’m not on team wash and go all the time!) gravitate towards these more polished looks? A “true wash and go” is achieved by washing the hair, moisturizing it, and letting it air dry into its natural texture. My puff start with this process. It gets bigger over time and if I want it to look bigger all I have to do is give my ends a little tug and shape or sculpt my magic puff ball with my hands. 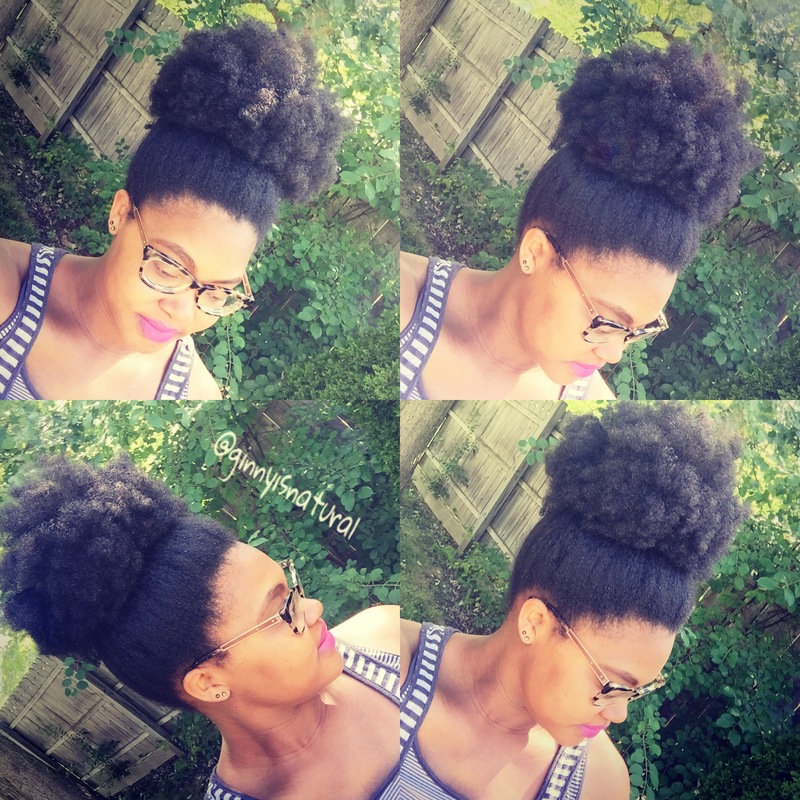 I personally love my puff! I get tons of compliments. I rock it with the utmost confidence and its definitely a conversation starter! 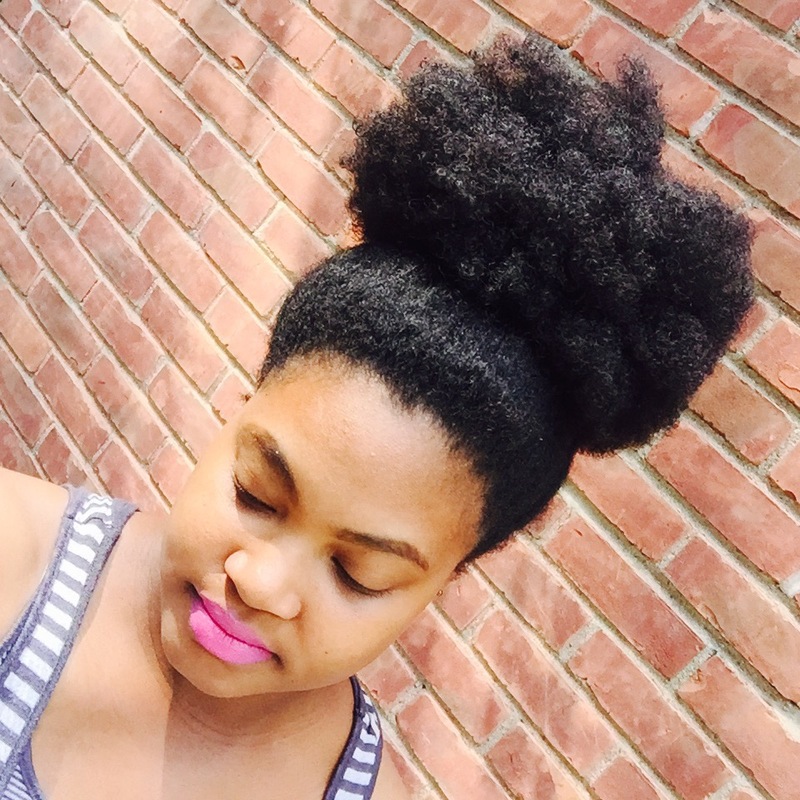 Now what does an Afro Puff have to do with black girl magic? This movement, with the coined hashtag #BlackGirlMagic, I think has a lot to do with owning your womanhood and sexuality as a black woman, exuding confidence, knowing who you are spiritually and intellectually, loving yourself, and being a beacon inspiring other women! When I rock my puff I feel all this things! Now I know you are wondering how I maintain my puff style! 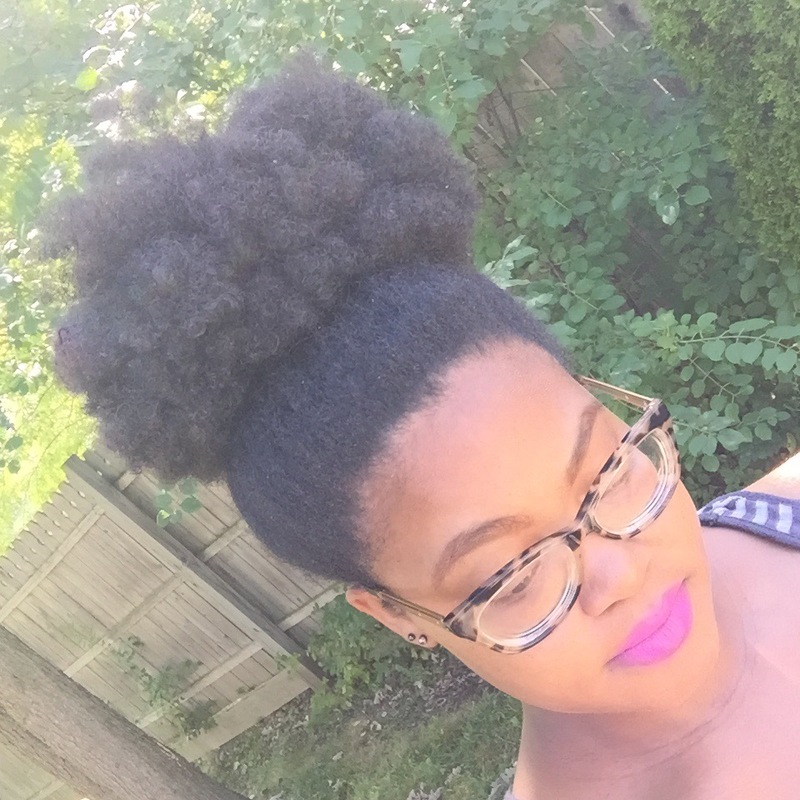 Puffs tend to dry out faster than most styles if exposed to the sun. At night, I just put on a large satin bonnet that is big enough to fit over my puff. 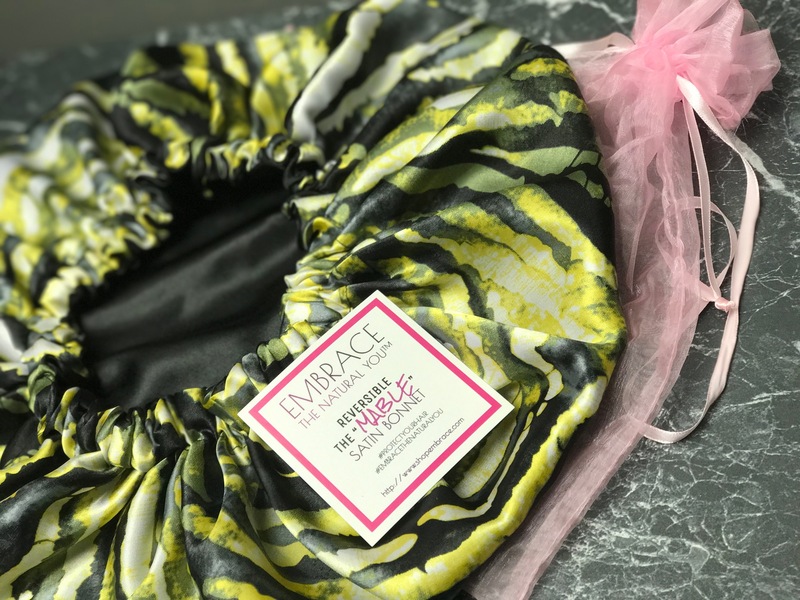 I should also mention I use a satin scrunchie at night. 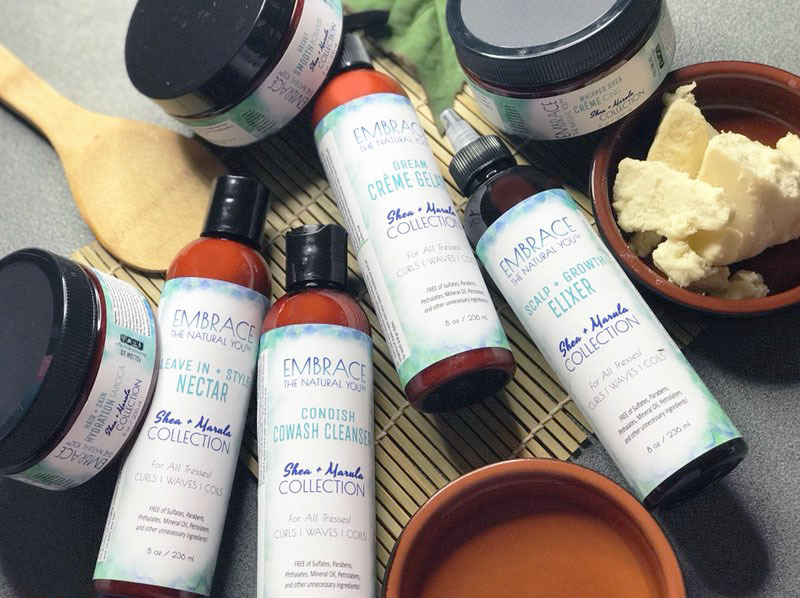 If I need to moisturize my puff then I will use the Embrace the Natural You Tress Refresh Curl Mist and the Whipped Creme Icing (or Trinity Glaze) depending on my “dryness situation”! 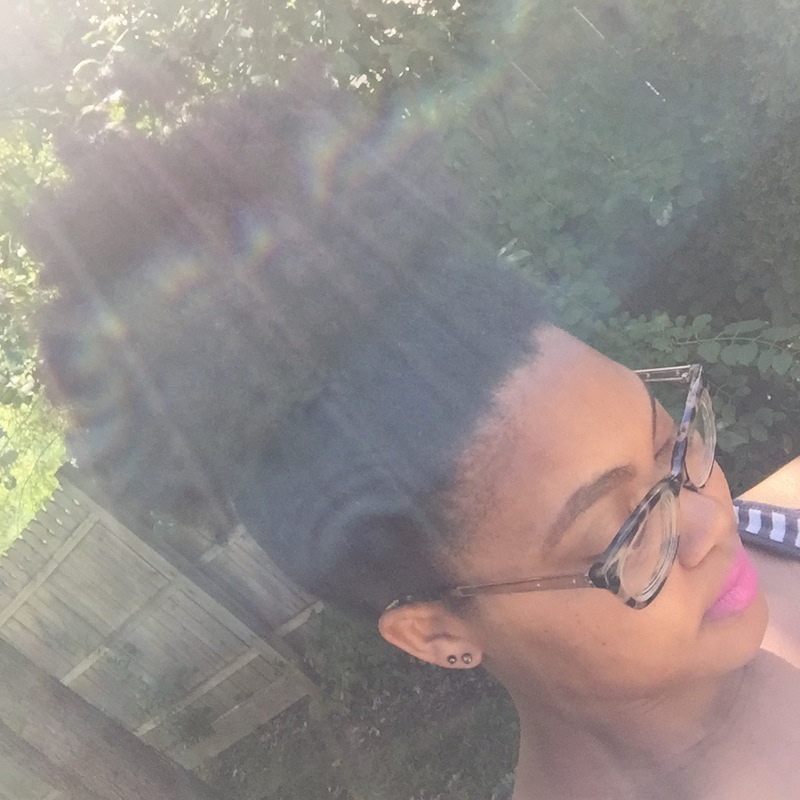 What is your favorite natural hair style and why do you rock it?